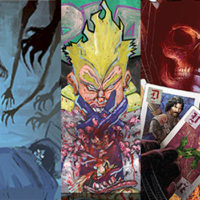 Image may not be as prominent a publisher as it once was, but just compare titles such as The Walking Dead, Invincible and Chew to the stream of derivative crap the company is still best known for, and that’s perhaps a good thing. 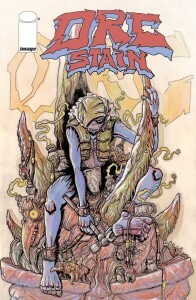 Orc Stain, Image’s new creator-owned title by James Stokoe, is original, visually arresting and free of clichés. 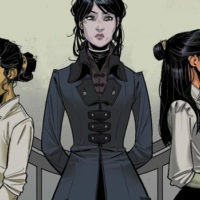 In other words, the sort of daring series that may not sell many copies, but deserves to be printed over ninety-percent of the other monthly titles currently on offer. Set on a world overrun by the barbaric jade ruffians, it’s an oddball tale that is difficult to put into words – indeed, many of the panels are devoid of speech bubbles, instead showcasing Stokoe’s wonderful art. A prologue narrates the rise of a powerful new Orc chieftain, the Orctzar, who has managed to assemble the previously fractured Orc clans into a formidable whole, and is systematically wiping every other race from existence. The other principle character in Orc Stain appears to be One Eye (Orcs are not given birth names) an Orc rogue with a gift for “openin’ things”. One such thing – and by far the highlight of this issue – is a gurpa safe, which for the uninformed is a safe installed inside a dormant bear-like creature, complete with a bird alarm system atop its head. 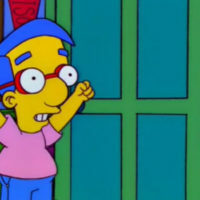 It’s silly but inventive ideas such as this that make Orc Stain such an unexpected joy, and the opposite of the usual imitative fantasy fare, despite its familiar setting. 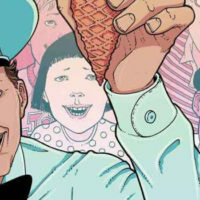 Stokoe (of the Omni Press Oddity Wanton Soup) is one of the most distinctive artists in comics today, and the book essentially runs off his visuals. 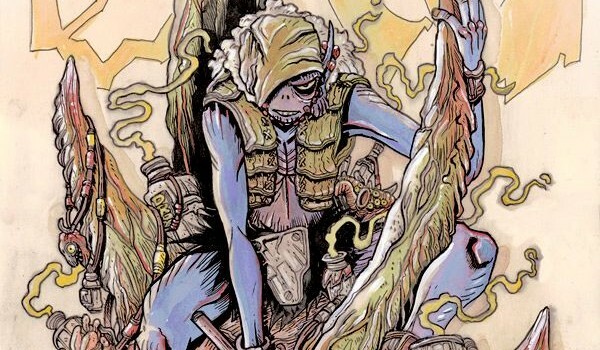 From the gratuitous violence, sprawling battlefields and exotic landscapes to the unique character designs, Orc Stain is that rare breed of comic that invitees you to perpetually return to the previous panel in case you missed out on a minute detail. Stokoe’s attention to detail brings the artist Moebius to mind, though fans of Geoff Darrow’s intricate compositions won‘t be disappointed either. 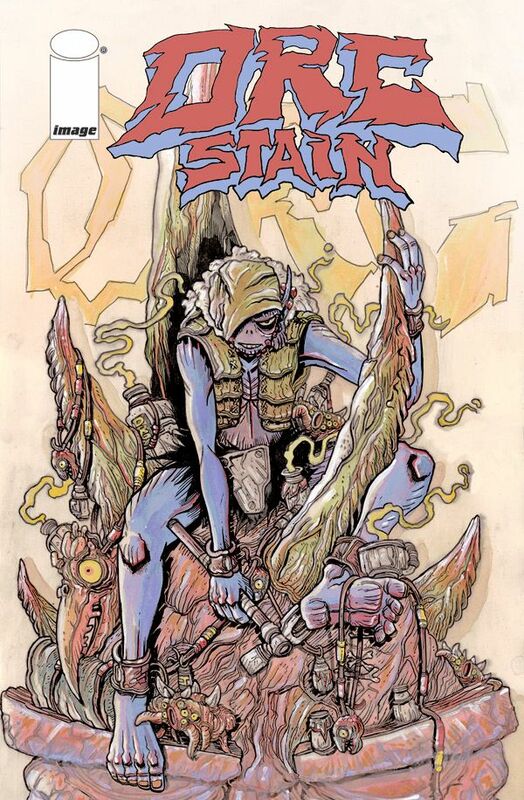 While I’d definitely recommend the first issue of Orc Stain not only to fantasy fans but comic readers in general, I’m still somewhat concerned about its mileage as a series. Whether One Eye and Stokoe’s other greenskins will develop into characters we can cheer for is yet to be seen. But based purely on the strengths of this first issue, Orc Stain is a gurpa safe you’d be foolish not to open.